SANTA BARBARA, CA -- (Marketwired) -- 06/27/16 -- QS Energy, Inc. (the "Company") (OTCQX: QSEP), a developer of integrated technology solutions for the energy industry, today released an AOT Technical Update documenting the functionality and operational benefits of its Applied Oil Technology crude oil pipeline optimization technology. Currently in commercialization phase and undergoing case study review with leading pipeline operators, AOT is designed to allow crude oil to flow at a higher volume by subjecting it to a high-voltage/low-amperage electrical field which decreases viscosity and reduces friction in pipelines. "During discussions with shareholders and industry analysts we're often asked about the motivating factors which drive interest in AOT from producers and operators in Canada, South America, Europe and the Middle East," stated Greggory M. Bigger, QS Energy Chief Executive Officer and Chairman. "This document is meant to educate interested parties on how QS Energy operates and the many factors involved in reviewing the needs of our customers, determining the optimal configuration for our technology, and collaborating with executives and engineering professionals within our industry to ensure the efficient, safe and economical delivery of crude oil from oil field to market." Based in California with supply chain partners in Casper, Wyoming, QS Energy has pioneered the use of electrical fields to improve the performance of crude oil pipelines and lower operating expenses (Opex) while favorably impacting tariff revenues at a time when the energy industry is seeking to mitigate margin compression and gain measurable efficiencies. "From the development of the first AOT prototype, up to our latest value engineered system, our overriding goal has been to leverage our patent protected technology to provide quantifiable bottom line opportunities for our customers," Mr. Bigger added. "Extensive studies of the mechanical behavior of crude oil in pipelines have historically identified two primary factors capable of improving flow -- the lowering of the viscosity of the oil, and reducing friction within the line. AOT has demonstrated the ability to do both to an extent that pressure drop is reduced, flow volume is increased, and power consumption at pumping stations is lessened." Diagram of an AOT four-vessel installation designed for use on high volume commercial crude oil pipelines. Each vessel can process up to 5,000 gallons of oil per minute, up to a daily capacity of 150,000 bbl per day. The first commercial deployment on an operating pipeline used four pressure vessels in parallel for a cumulative capacity of 500,000 barrels per day. Entirely designed, fabricated and tested in the United States, AOT is ISO/TS 9001-compliant and ASME-certified industrial hardware approved for use in hazardous location Class 1, Div. I. rated areas and designed to optimize the performance of crude oil pipeline infrastructures. AOT is the energy industry's first crude oil pipeline flow improvement solution using an electrical charge to anisotropically cause a conformational change of the microscopic particles native to unrefined oil, which lowers the viscosity of the oil and improves flow. AOT has been rigorously tested by Temple University's Department of Science and Technology and the U.S. Department of Energy, and is being commercialized in collaboration with engineering teams at independent oil production and transportation entities interested in harnessing its proven efficacy to increase pipeline performance and flow. Whether horizontally or vertically oriented, AOT systems function by in-taking flow through a pipe to a pressurized vessel and subjecting it to an electrical charge which causes a conformational change to the molecular structure of the naturally occurring paraffin and asphaltene content in the crude oil. The result is a reduction in viscosity and higher flow volume which can be quantitatively proven when monitoring pressure loss reduction in SCADA operations systems. To achieve efficient movement of any fluid in a pipeline, the pressure maintained in the line and the viscosity of the fluid are important factors in ensuring optimal flow. Pressure must be used to move the fluid forward, and due to friction, this is impeded to varying degrees (fluid pressure drop). When pipeline flow and pressure reach a certain point, measured in Reynolds numbers, the flow can change from stable (laminar) to chaotic (turbulent), which introduces further inefficiencies in the forward movement of the fluid. By reducing the viscosity of crude oil, AOT also mitigates friction within the pipeline which helps improve pressure loss reduction and achieve higher flow volume. The development of AOT technology has its basis in research conducted by scientists, physicists and engineers in the field of electrorheological fluids and magnetorheological suspension. Working with our research and development partner Temple University, QS Energy is able to forecast AOT performance outcomes using mathematical calculations performed by Dr. Rongjia Tao, co-developer of AOT and Chairman of Temple University's Physics Department. Among the core calculations in play are those used to determine expected viscosity reduction of crude oil, anticipated pressure drop within the pipeline, and the estimated amount of AOT operating time necessary to treat all crude oil throughout the length of a pipeline. 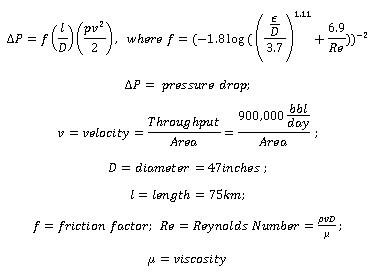 Calculations to predict the anticipated pressure drop across a pipeline with the AOT technology in operation. Calculations used to determine expected operating time necessary for AOT to treat crude oil within the entire length of a pipeline (calculation to express a pipeline’s fluid as one mixed sum that is slowly becoming more treated as time passes). The efficacy of AOT has been documented through extensive and ongoing laboratory studies, closed-loop pipeline tests, and high volume, commercial pipeline deployments with the assistance of the U.S. Department of Energy, PetroChina/The China Petroleum Pipeline Bureau (CPP), fluidics consulting firm ATS RheoSystems, and Temple University’s School of Science and Technology. Since the construction of the first pipelines to move crude oil from the well to downstream destinations such as storage tanks and refineries, the industry has sought to improve flow by various means. The use of thinners (diluents), Drag Reduction Agents (DRAs), and heat have been introduced to supplement the pipeline pressure achieved with pumping stations. Fluid viscosity plays an important role in the function of any hydraulics system and is one of the main sources of internal fluid friction. Friction is responsible for major pressure loss, a factor that must be overcome by a strong pressure gradient created by a pump. By reducing viscosity of crude oil while in transit and contributing to the reduction of friction, AOT has shown an ability to counter pipeline pressure drop, thereby improving the efficiency of the system as a whole. The reduction of power required for flow also decreases demand on pump station motors, directly reducing the amount of carbon dioxide (CO2) emitted. Dozens of tests conducted in the laboratory, on closed-loop test pipelines, and on two high volume commercial pipelines in North America, have repeatedly demonstrated the ability of AOT vessels to reduce viscosity in a broad range of grades of crude oil, from super heavy bitumen to ultra-light condensate. 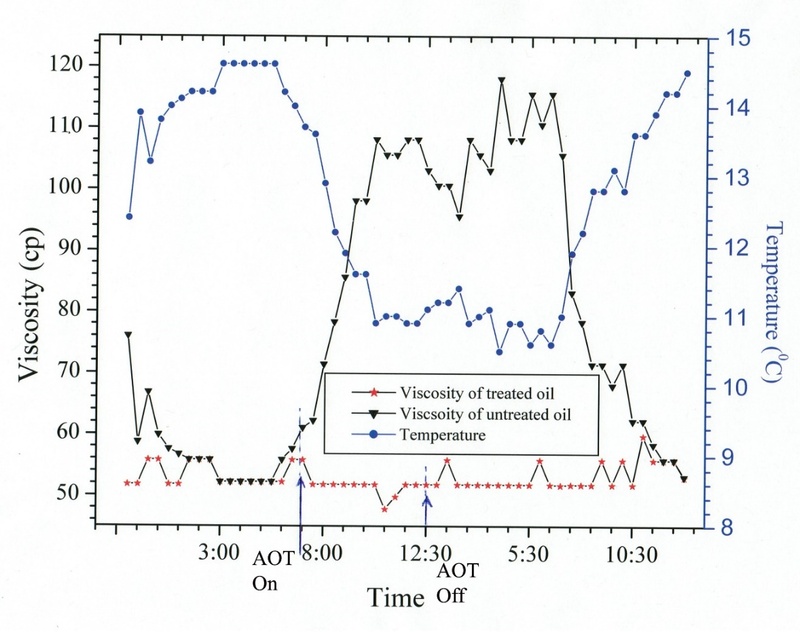 The SCADA results in this graph demonstrates that the viscosity of crude oil on a closed-loop pipeline was reduced by up to 56.12% (51.8cP from 118.060cP) compared to untreated oil at the same temperature. Chart courtesy of the U.S. Department of Energy. As the global oil and gas industry continues to recalibrate its operations in response to the current supply surplus, producers and transporters are investing in technologies that reduce cost and improve efficiencies. Since most pipelines are dependent on committed and uncommitted toll rates, AOT's efficacy in improving flow rates by one-and-a-half to three percent has the potential to greatly impact tariff revenues and profitability. When fully optimized, the AOT system may improve the efficiency of virtually any crude oil pipeline system, providing the opportunity for pipeline operators to reduce operating costs and drive more revenue based on applicable toll rates due to higher flow rates. "A significant percentage of pipelines are operated at a constant pressure or power level, providing enormous opportunity for the viscosity reduction capabilities of AOT to increase pipeline capacity and flow volume and therefore boost revenues derived from tariff rates," Mr. Bigger commented. 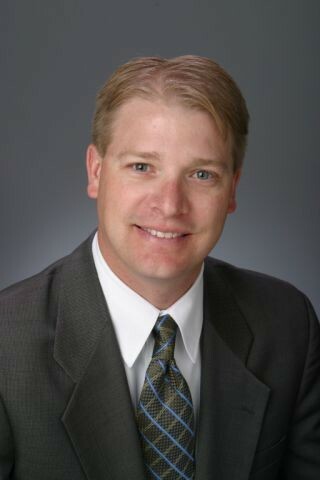 "Following several years of design refinements and the current commercialization phase, we believe AOT is uniquely positioned within the global energy industry as a cost-efficient, low maintenance solution capable of having a positive impact on the operations of oil producers and transporters during today's down cycle and well into the future. We are now ready to offer this technology as a complete turn-key, pressure drop reduction tool that can be customized to fit the needs of a variety crude oil pipeline companies." For further information about QS Energy, Inc., visit www.QSEnergy.com, read our SEC filings at https://ir.stockpr.com/qsenergy/all-sec-filings and subscribe to Email Alerts at https://ir.stockpr.com/qsenergy/email-alerts to receive company news and shareholder updates. Developed in partnership with scientists at Temple University in Philadelphia, AOT (Applied Oil Technology) is the energy industry's first crude oil pipeline flow improvement solution using an electrical charge to coalesce microscopic particles native to unrefined oil, thereby reducing viscosity. Over the past four years AOT has been rigorously prepared for commercial use with the collaboration of over 30 engineering teams at 19 independent oil production and transportation entities interested in harnessing its proven efficacy to increase pipeline performance and flow, drive up committed and uncommitted toll rates for pipeline operators, and reduce pipeline operating costs. Although AOT originally attracted the attention of pipeline operators interested in improving their takeaway capacity during an historic surge in upstream output resulting from enhanced oil recovery techniques, the technology now represents the premiere solution for improving the profit margins of producers and transporters during today's economically challenging period of low spot prices and supply surplus.